Located on one of Mexico's most beautiful pacific ocean beaches. Photos located on web site listed below. 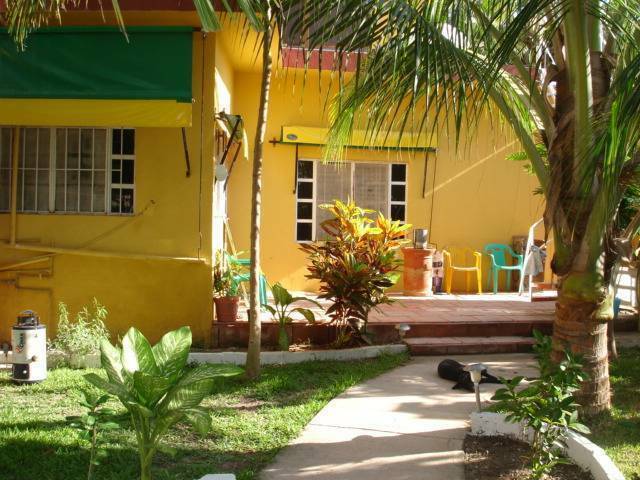 Property has lush tropical gardens offering opportunity for secluded sun bathing or on our roof top sun deck. A hearty full breakfast is offered with your lodging. Other eatieres located all along the beach. Many tourist attractions located near by. Beautiful surroundings! Gorgeous Sunsets! Peace & Quite! Wonderful hosts! Each room has a queen size bed, a small setting area with a small table and 2 chairs AND a large picture window with a direct view of the Pacific ocean. Large bath room with a separate large double shower. A large closet space. This is NOT a major tourist area. A lay-back vacation type area. Sun on the beach and swim year around in the ocean and area fresh water pools. We do have insects, but we deal with them. Honestly, it helps to keep this area as it has always been. We, who live here, would not change it. $75.00 per nite OR $60.00 per night for 3 or more nights. Prior payment required to hold reservations. 30 day notice required for full refund of payment. We do use PayPal. Located on Matanchen Bay just 8 k. form San Blas. 2 & 1/2hours north of Puerto Vallarta. # 37 Bajia de Matanchen. Local and long distance buses on highway in front of property. Locals run every 20-30 minutes during day light hours. Long distance 3 times each day.